First Lines: The Healer’s name was Fords Deep Waters. Because he was a soul, by nature he was all things good: compassionate, patient, honest, virtuous and full of love. Anxiety was an unusual emotion for Fords Deep Waters. Irritation was even rarer. You know, rereading this book (for something like the 4th or 5th time) was actually what got me back into blogging. When I realized I’d never done a review on this, I kind of got the itch to come back. Not exclusively for this book, but it was what got the ball rolling. This book came out 10 years ago last month. (Now doesn’t that make some of you feel a little older?) I feel like now that we’re well past the Twilight years, we can actually start talking about Stephenie Meyer as a legitimate author rather than simply rolling our eyes against her/defending her with everything we have (depending on which side you’re on). If you’ve never read this book, it’s the story of Wanderer, one of many parasitic souls that have taken over the bodies of humans and created a better world on Earth. But Melanie Stryder, Wanderer’s host, refuses to fade away like she’s supposed to. Wanderer can hear her, feel her inside their brain. Melanie was part of a dwindling number of humans without these souls and it’s up to Wanderer to find out if Mel knew anything about others who also hadn’t been taken over. But everything changes as Wanderer gets to see memories of the man Melanie loves and the little brother Melanie nearly died trying to protect. This love becomes part of Wanderer and makes Melanie an ally. And so begins their journey to find what was left of Melanie’s life before Wanderer. I don’t totally feel like I did that summary justice, but I feel like there’s way too much I can spoil if I give you a legitimate summary of what happens. And spoiling it is the last thing I want to do. 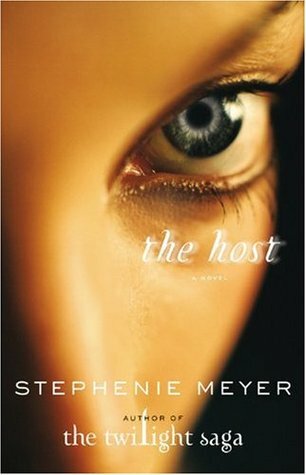 You can have your opinions on how well written/trashy the Twilight series is, but Meyer’s writing in this book is what keeps me coming back to it. Even though it’s set on Earth, there’s a lot of world building that needs to be done because it’s a utopian/dystopian world. Things are different. And I feel like that world building is incredibly successful. But what really keeps me invested in this book even after all this time is the emotion. I picked this book back up shortly after my breakup. Why this book, you ask? Because I wanted a character who understood being alone. Wanderer spends a good portion of this book either feeling alone or different from everyone else, but she’s brave enough to venture out a little at a time and make friends, try new things. And when she’s not brave enough, there are a few people who help her. The emotions she’s feeling are just so realistic. Sometimes it’s because of the descriptions because Wanderer doesn’t always have words for the emotions she’s feeling and she improvises. (Once, she refers to jealousy as something bitter, like a bad aftertaste. I don’t remember the original wording except that ‘bitter’ was used.) And because Wanderer doesn’t always have the right words, it means we get so much more of the descriptions through her actions. Information about how she’s shaking or how she picks up on someone else’s tone of voice or how she feels a fluttering hope. It’s just exquisitely well written. I also keep coming back for the characters. You guys know that I typically have a problem with love triangles, but this one is different. (And I don’t think the movie does it any justice, but it’s been a while since I’ve seen the movie and I may be wrong.) It’s kind of weird to have a triangle that’s actually not a triangle because technically 4 beings are involved, but 2 live in the same body. It’s just fascinating to watch how that unfolds. But I really do love it. The writing is clever, much cleverer than people usually give it credit for. They see it as simply this alien love story thing, but it’s so much more than that. There are themes of prejudice and the harm it causes. There are themes of forgiveness and survival. Themes of sacrifice and loss. There are so many layers to this story that I could spend a day breaking it down. If you haven’t read this yet, I recommend you at least look into it. The first 100 pages or so can be pretty slow, is what I tell everyone, but the payoff by the end is great. First Lines: The heavy blade hung high above the prisoners, glinting against the stars, and then the Razor came down, a wedge of falling darkness cutting through the torchlight. One solid thump, and four more heads had been shaved from their bodies. I bought this book ages ago from Scholastic and it just kept showing up on my shelf. It was the kind of thing that I wanted to read, for sure, but it never seemed like I was quite in the mood for a dystopian that almost doubled as a historical fiction. In the Sunken City, a place once known as Paris, a revolution is about to tear the city apart. Anyone who opposes the new regime is beheaded swiftly and efficiently. But occasionally, prisoners disappear from their cells with only a red-tipped rook feather left behind. The Red Rook is a hero to the innocent and a criminal to the government. Across the sea on an island called the Commonwealth, Sophia Bellamy’s arranged marriage to Rene Hasard could be the only thing that saves her family from ruin. But when the search for the Red Rook lands on her doorstep, Sophia learns that her fiance may not be all that he appears to be. Which is only fair, seeing that Sophia has her own secrets as well. As the Red Rook grows bolder, Sophia and Rene find themselves in a dangerous–and deadly–game of cat and mouse. Will the hunt for the Red Rook tear them apart…or bring them together? Generally, it was pretty good. Sophia is a strong female character, who we quickly learn will not be the quiet, simpering miss that some of the men in her life wish she would be. She’s not going to sit back and let others control her. I liked that she was a fighter. And then there’s her fiance, Rene, who is not what he seems. He is a character that takes some warming up to because he’s so layered, but it’s worth it. He’s a great example of giving depth through characterization. Truly, it does really just feel like a skewed retelling of the French Revolution, which the author says was her inspiration to this story. You have a France in turmoil, divided by class and ruled by a man who incites that fury, feeds on it. You have men in power who are completely delusional and have started their own religions which put them in power as a high priest of sorts. Anyone (and I mean anyone) can be killed by the Razor at dawn if you irritate the wrong person. And that’s all why the Red Rook exists, stealing prisoners from the Tombs and freeing them under the noses of the bumbling officials. It’s like a French Revolution version of Robin Hood, basically. The closer you get to the end, the more twists and turns there are. You start questioning motives, things you thought were facts, and how certain things are going to work. I liked that a lot got revealed that I wasn’t expecting. Actually, I just liked that I couldn’t call how it was going to end. I also really like that this is a standalone dystopia. How often do you see those? It wraps up everything in this one book, which means that there’s a lot of action, excitement, and yes, a few deaths. But what’s a war if there aren’t sacrifices? While it wasn’t perfect, it was really enjoyable. I had a lot of fun reading this. First Lines: I’ve been shot. And, as it turns out, a bullet wound is even more uncomfortable than I had imagined. Just a brief description here, Destroy Me (#1.5) is Warner’s perspective right after Shatter Me. Even though Juliette’s gone, Warner can’t stop thinking about her. Fracture Me is an overlap of the end of Unravel Me and a quick lead-in to what happens after, told from Adam’s perspective. I think it might be easier to review both of these novellas individually. Destroy Me – At this point in the series, Warner is incredibly hard to like. Even knowing what happens later in the series, Warner just kind of creeps me out here. He is fixated on Juliette to the point of near obsession. But on top of that, it’s also interesting to see what The Reestablishment is like for someone on the inside. Warner is in an unenviable position and he has to deal with some very harsh realities. This story tends to be a little more psychological in its action. Fracture Me – This story tucked into familiar territory, overlapping quite a bit with Unravel Me. The truly interesting part of this story is seeing Juliette from Adam’s perspective because she has tics that she doesn’t really seem to be aware of in the series. And with all the action that takes place in the story at this point, there really wasn’t a dull moment at all. Definitely physical in its action. What’s truly interesting is that in very short order, we get to see Warner’s, Adam’s, and Juliette’s perspectives. And Mafi gives each one a very different voice. This is actually kind of genius. For example, Juliette’s voice is what we’re most familiar with. It’s almost musical in its repetition and vivid imagery. She compares dissimilar things all the time to describe what she’s feeling. It’s beautiful and lets you see what her mind is like, how her earlier trauma has impacted her. Adam, similarly, seems very in-tune with his emotions. He observes details that somehow tie in to either his emotions or the emotions of those around him. (He sees when people are upset, notices when something makes them edgy, etc.) But Warner is more clinical. He observes for the factual information, for the way those observations can be used against someone. And that’s totally a creation of his upbringing. But it’s so fascinating that Mafi was able to be so in-tune with these characters that she can do this. I didn’t even catch on until I was reading Adam’s story and then I noticed the differences. 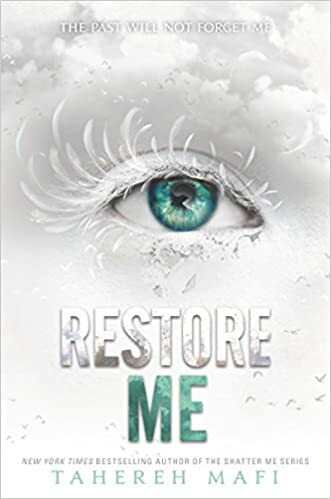 These stories are a nice way of stepping your feet back into the Shatter Me world without having to reread the whole series. First Lines: Miles has been dead for one hour. I checked this out weeks ago, but it just languished on my shelf for ages. Wasn’t what I was in the mood for, you know? But I finally just kind of picked it up, knowing if I didn’t read it now, I never would. I still really like the premise of this book. I love the concept of Juneau being completely out of her element in the modern world, but she’s got this fantastic skill set that comes from being one with nature. (That makes her sound like a hippie…) Miles and Juneau are kind of like yin and yang, which is incredibly awesome. And I do like Miles and Juneau. I kind of like Miles more, though, because, like me, humor is a defense mechanism for him. So he’s constantly making these little quips that are just so funny. But Juneau’s great too because even though she’s so young, she feels this massive responsibility toward her clan and she will do what it takes to protect them. I kind of like that quality in a heroine. But one thing that I thought was missing from this book was more of a relationship with the minor characters. I mean, it’s basically The Miles-and-Juneau Show for the entire book. Whenever a minor character appears, they are only there for a dozen pages and then gone. (That’s a minor exaggeration, but it’s still remarkably true.) Even characters like Whit don’t have that big of a role in this book. I was a bit disappointed in that. I’m about to give you a contradiction: while there is a lot of action in this book, there are also moments that are kind of boring. Much like old-fashioned warfare, it’s a lot of hurry-up-and-wait with this story. You know when the fights are coming, so you anticipate it. And the fights are worth it. But cross-country traveling, as any road-tripper can tell you, is a tedious business. There’s not a lot that happens in that part of the story. It drags on a little there. Still, I thought this was a nice conclusion to this duology. I’m glad they didn’t try to drag it out into a trilogy because that was just not going to work. First Lines: The dream was changing. Even asleep I sensed it. THE COUNTDOWN BEGINS! I have only THREE more days until I am on Spring Break! (See what I did there? 😀 I’m so punny.) That means I will (hopefully) have a ridiculous amount of time to read and I can make a huge dent on the books I have scattered haphazardly around my room. But until that time, I have plenty of reviews that we can do! For weeks, Ember and Chase have been running from the Bureau of Reformation, AKA the Moral Militia. On the top of the Most Wanted list, Ember and Chase have been frantically searching for the safe house, hoping to finally be able to stop running. Only when they find the safe house, it’s a pile of ashes. Their hopes gone, the only thing they can do is follow the footsteps that walk away from the ruins. They are forced to find shelter in the wilderness and in ruins of other cities…until they find survivors of the fire, including someone Chase never thought he’d see again. Joining forces, the two groups hope to find another safe location, this one possibly home to the mysterious organization known as Three. This may be Ember’s only chance of surviving, of fighting back. This sat on my shelf for weeks until I finally felt like reading it and honestly, I don’t remember a whole lot of books 1 and 2. Sure, it came back to me eventually. I had notes. But nothing really beats that fresh memory, unfortunately. This time, the book is incredibly doom and gloom (not that the previous books are all unicorns-farting-rainbows-and-happiness). There was always a little bit of hope in the previous books, a little of the fresh feeling of Ember and Chase’s love. But that’s not here this time, seeing as they are A) a solid couple and B) kind of losing all hope that they’ll ever be safe. And the MM is really tightening their hold, making it seem incredibly possible that there aren’t going to be many survivors by the end. The plot was pretty good. There were definitely moments of suspense that kept the story rolling. It was interesting to keep reading, though I will say that there were parts that seemed to drag or seemed a bit confusing. Normally, I’d take this moment to wax poetically about the characters and their development, blah blah blah because I’m an English major and I nerd out over that, but I really didn’t feel it here. I mean, I actually seriously lacked empathy for Ember and Chase. Sure, I’m sympathetic to their plight. But Ember and Chase never really changed in this book or did much to make me fall in love with them again. It was like we were expected to already love them unconditionally and support them completely. And that was difficult for me when nearly the entire story was Ember and Chase with competing hero complexes and the desperate desire to save each other. Hint: It’s not growth if they’re doing that the whole novel. So that was incredibly frustrating for me. 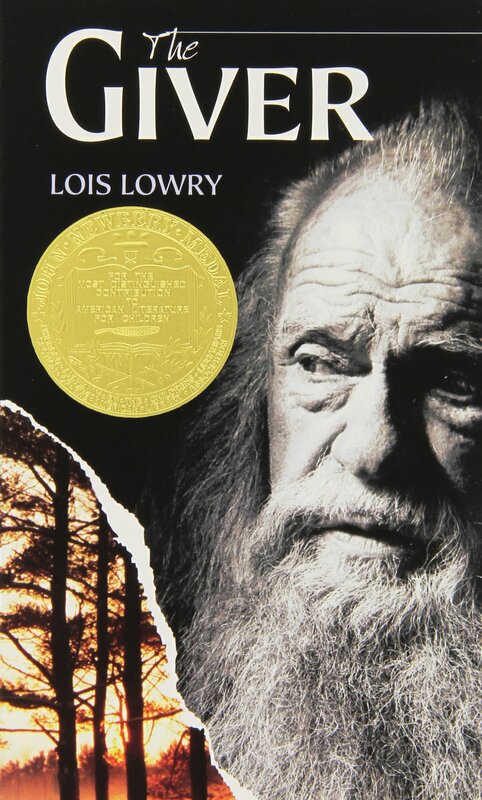 While it was good, it was not my favorite novel in this series. There are others that felt far more dangerous and others that were far more character-driven.